These are a perfect a great crowd pleaser. You can prepare them ahead of time and refrigerate, then bake them just before your guests arrive. They are special enough for holidays and easy enough for anyday. 2 Pie plates or 6 mini tins found at speciality kitchen shops. 1 ½ cups stock – I like lobster stock but any good fish stock will do, chicken ok as well. 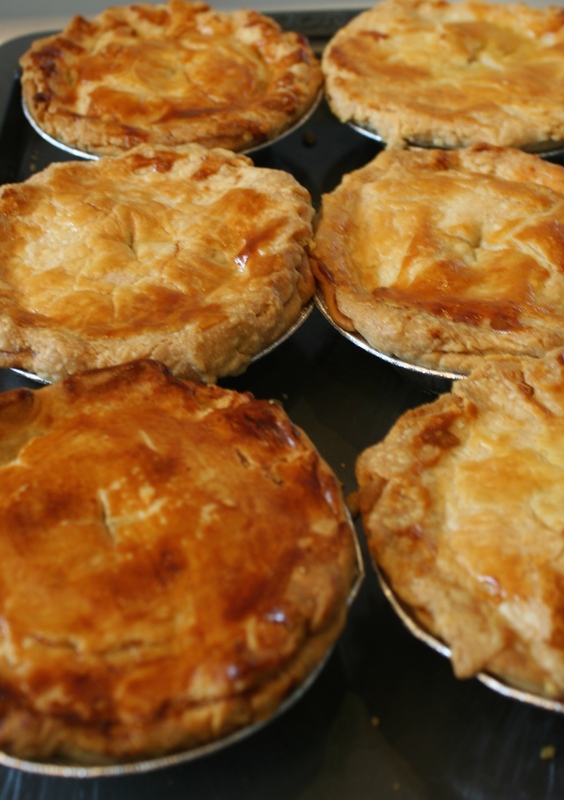 4 sheets Short Crust Pastry – homemade or premade enough for tops and bottom. In a large pan on medium heat add olive oil and butter until hot. Add onions, celery, fennel and sauté for 10 minutes . Add corgette and sauté for another 15 minutes. Sprinkle with flour and stir and cook for 2 minutes. When sautéing large amounts of veggies I find using two wooden spoons helps my cooking process. Be gentle and mindful not to over mix though. Add wine and cook for 5 minutes. Add stock slowly mixing to incorporate. Add salt and peppers to taste and cook until mixture comes to a bubble. Turn off flame . Stir in lobster and cream , and sprinkle in the parsley. Roll out 2 sheets of Pastry for each pie one for top one for bottom. If pre-made you will need to roll the sheets out slightly depending on the size of your pie pans. If making mini pot pies then this will make 6 pies. Line the bottom of tin with a sheet of pastry and reserving the other sheet for the top. Fill Bottom with lobster mixture and top with reserved sheet of pastry. 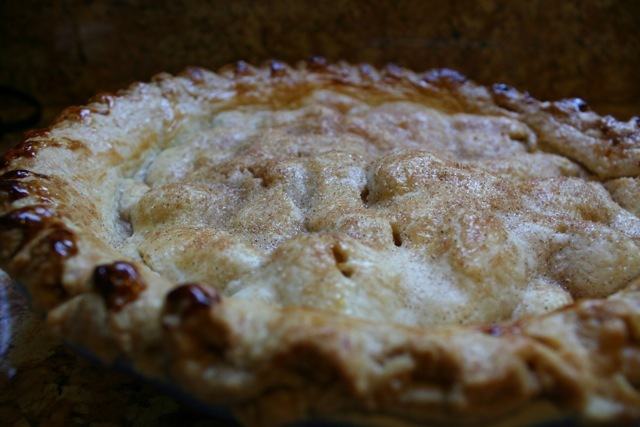 Pinch crusts together and score criss cross middle of pie to allow for steam to escape while baking. Bake large pies for a little over 1 hour and minis for 45min. or until golden brown. Add vanilla ,sugar, cinnamon , nutmeg, salt, , pepper. Add juice of one orange and the zest of 2 oranges. Line Bottom of pie pan with one crust. Perforate bottom of crust in a few places. 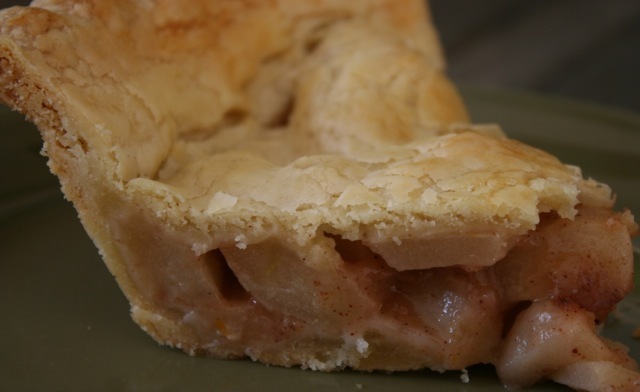 Pour apples into a pie crust. Bake for 30-35 minutes or until crust is golden brown. Sometimes I’m most creative when I’m doing a hundred things at once.Its warm ,spicy, sweet, and earthy … tis the season. Pie shell- top and bottom- premade is fine. Lay Bottom crust of pie shell onto your pie plate. Prick bottom a few times with a fork. Peel and slice apples and set aside. In a small saucepan melt the butter, add the honey, brown sugar and salt and slightly warm. Pour over apples and toss together. Sprinkle apple mixture with pepper and citrus rinds. Toss well. Brush top and edges with egg yolk and sprinkle generously with a sugar and cinnamon mixture. 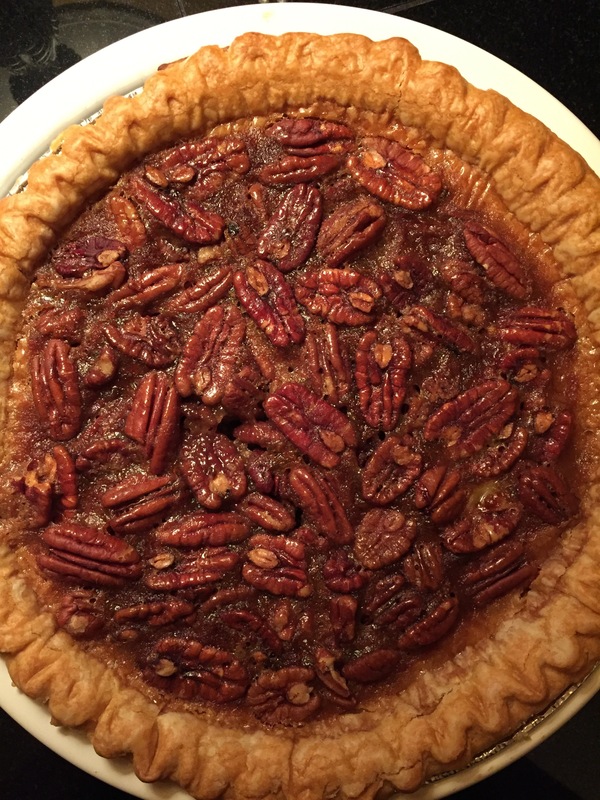 Cut a small criss-cross in center of pie to allow steam to escape while baking.